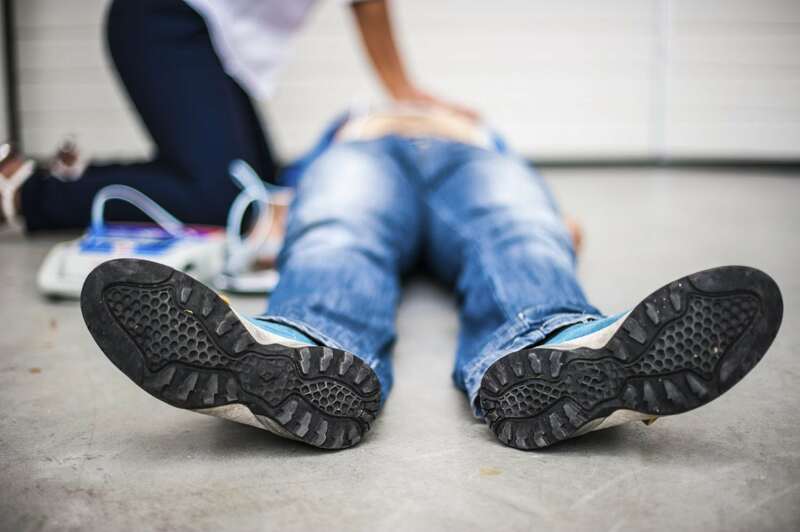 U.S. News & World Report reported that 70% of Americans either don’t know or have forgotten how to administer CPR—an alarming statistic, given one quarter of Americans say they’ve been in a situation when someone needed CPR. And every minute’s delay in emergency treatment decreases the chances of survival by 10%. Most occurrences of SCA in youth occur in public places. The increased availability of publicly accessible automated external defibrillators (AEDs) in schools and school-sponsored athletic events will dramatically increase the probability that youth will survive SCA. Knowing and properly executing the critically time-urgent links of the Cardiac Chain of Survival can help save the life of a youth in SCA. Parent Heart Watch advocates for having AEDs in public places where youth congregate. This strategy is most effective through Public Access Defibrillation (PAD) programs. PAD programs are based on the premise that the first person on the scene of a cardiac arrest is in the best position of saving a life IF the rescuer is equipped with a portable defibrillator, also known as an AED. PAD programs require AEDs to be placed near locations where people work or gather. However, simply distributing AEDs is not enough. Successful programs actively recruit and enable for as many people as possible to acquire the skills and confidence needed to respond appropriately during a cardiac emergency. The first responders in a PAD program are made up of lay rescuers – those with minimal first aid skills. They learn these skills during a basic four-hour CPR & AED course. They fervently hope that they never have to use their skills but do know that unless they respond appropriately in the event that their coworker, the person waiting in front of them in a movie theater line, the parent watching his daughter’s soccer match, or their loved one collapses, he/she will most likely die. 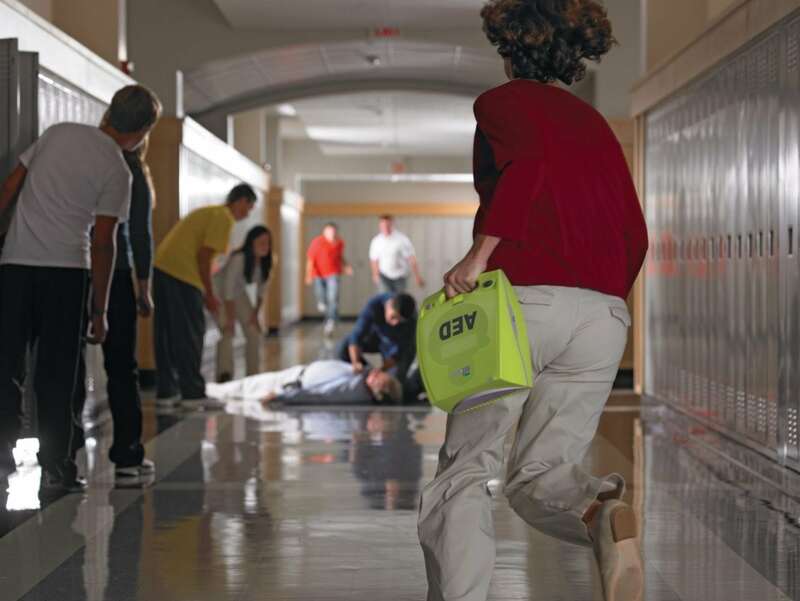 Sixth-grade school children with moderate training can learn to use an AED to save the lives of SCA victims almost as quickly and efficiently as professional emergency medical personnel. For every minute that passes without defibrillation, a victim’s chance for survival decreases 10%. Public Access Defibrillation (PAD) programs can increase survival rates for out-of-hospital SCA victims from below 5% to as high as 50%. 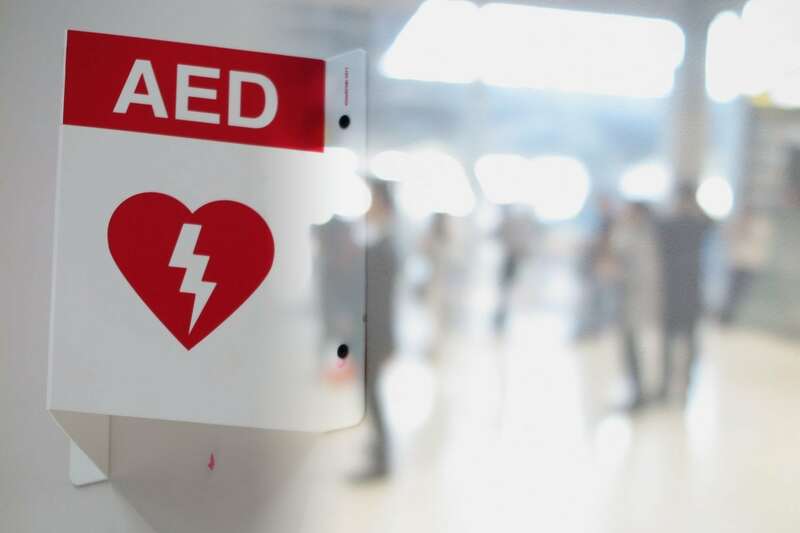 Estimates state that widespread public availability and use of automated external defibrillators (AEDs) could save as many as 50,000 American lives each year. On average, it takes EMS teams in the U.S. 6 to 12 minutes to arrive on the scene. Up to 95% of all SCA victims die. Documented AED programs have shown that survival rates can increase to 64% – 74% when an AED is applied within three minutes or less. For more information about Public Access Defibrillation Programs, visit Project ADAM. An AED is a medical device designed to quickly analyze the heart’s rhythm and safely deliver an electric shock, if needed. An AED will not shock someone if the heart rhythm is not life-threatening, so the user cannot inadvertently hurt the victim. Most AEDs guide its user through the rescue process with simple audible and visual prompts. The heart has an internal electrical system that controls the rhythm of the heartbeat. Either a primary electrical heart condition or a structural heart condition which disrupts the heart’s normal electrical pathway can abruptly and without warning stop the heart from beating. These heart conditions can also cause the heart to beat so rapidly and chaotically that oxygen-rich blood flow to the brain ceases causing a person to lose consciousness in seconds. This rapid and chaotic heartbeat is called ventricular fibrillation (VF). Ventricular fibrillation is the most common cause of sudden cardiac arrest. Rapid treatment is critical and can be lifesaving. Unless an emergency shock using an AED is delivered to the heart to defibrillate it and restore its regular rhythm, death can occur within minutes. The use of an AED is the single most effective way to restore the normal rhythm of a heart quivering in ventricular fibrillation. Download the toolkit to acquire, implement and maintain an AED program in your school or youth center as part of a Cardiac Emergency Response Plan.